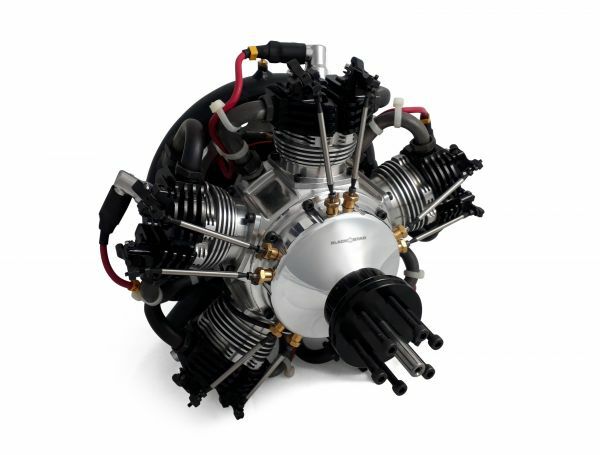 The new Tomahawk Design five-cylinder star-engine was developed in cooperation with experienced German specialist in 18 month time. The result is a very durable and reliable engine for big scale warbirds or towing planes like our Wilga with 3,7m wingspan. The engine is easy to handle and maintain the ignition works perfectly with 2S Lipo at 7,4V. The spares are available at Tomahawk ware house, service will be done by our partner in Germany. Related links to "Tomahawk Black Star 5-250 Radial Engine"